Colorful messages for you and your friends, brought to you by Aaron Paul. 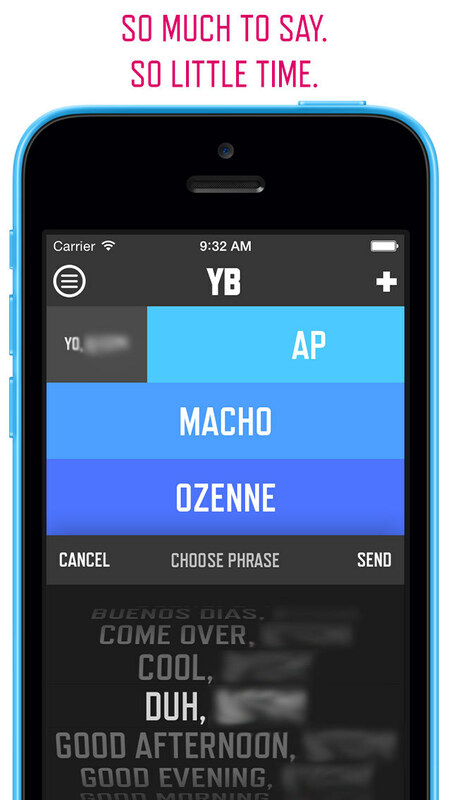 YB is a fun way to greet and respond to your friends and family. It’s a fun, colorful way to lighten up your conversations, made by Aaron Paul (Breaking Bad, Need For Speed, Exodus: Gods and Kings) with his actual voice. Follow @aaronpaul_8 on Twitter for contests, free prizes, & updates! 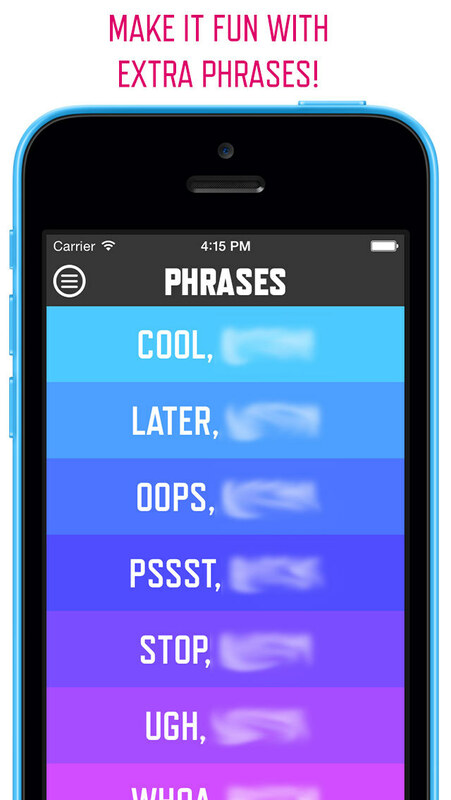 • Unlock extra phrases to send. • Participate in contests with Aaron to win phrase packs. • Find your friends using your contacts. • Uses iOS 8 interactive notifications! • iPhone 6 and iPhone 6 Plus ready! • We stuffed your existing purchased packs with more phrases for FREE. The LOVE PACK is even more awesome now. You’re welcome. • Holiday Pack, FREE for everyone. 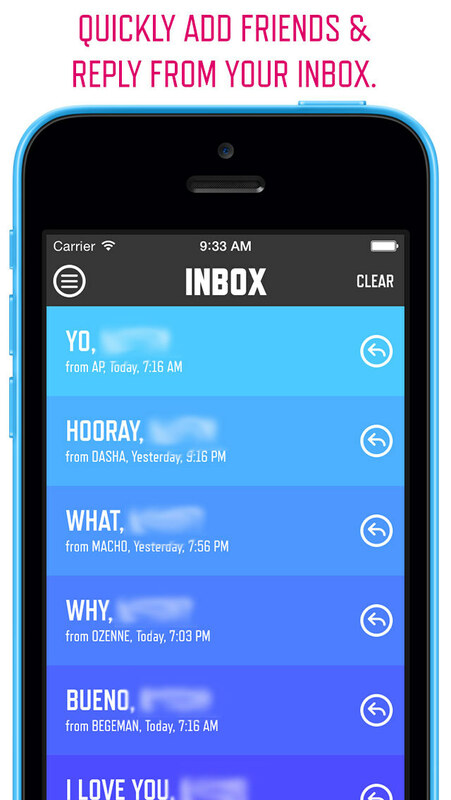 • Business Pack, colorful corporate jargon, ex: "Dial In, B****!" • Food Pack, much-requested and much-needed addition, ex: "It’s Gluten-Free B****!" • Life Pack, essential phrases to keep the conversation going, ex: "Yoga, B****!" • Response Pack, excellent spread of responses are a must. • Greetings Pack, Love Pack, Daily Pack, Socrates Pack, Exclamata Pack, More Is More Pack, & Love Pack all have been stuffed with more phrases inside.